West London Link and Hammersmith BID are organizing the ‘Hammersmith Highline’, an ideas competition open to the general public. The aim of this competition is to find solutions that reimagine an area of disused railway in Hammersmith town centre to become a destination for residents, employees and visitors, drawing on inspiration from the New York Highline. The judging panel is looking for both original ideas without limits, and interesting schemes that are practical. Two sets of prize money are offered, for the two different categories of ideas. The idea of this competition is to find something that will provide Hammersmith with a special attraction that will draw people in on its own right. It will give the town centre something special and unique, over and above what other town centres can offer. The theme of London Festival of Architecture 2019 is “Boundaries”; competitors are encouraged to address boundaries encountered in Hammersmith’s public realm, between public and private ownership, pedestrian and vehicle, and those imposed by topography and existing structures. All entries will be displayed at an Exhibition in Kings Mall shopping centre in central Hammersmith between 22nd – 30th June 2019, and the prizes will consist of £5,000 each. The timeline for the event can be found below. The results will be announced on Friday 7th June, following the judging by an independent judging panel. There will be an awards night following for an invited audience of all entrants, architects, artists, designers, developers and local authority representatives. The entries will also then be presented to the broader public in a high-profile exhibition situated inside Kings Mall shopping centre, which adjoins the Highline site. This will provide a platform for a debate on the ideas raised by the competition by allowing the broader public to view and consider the entries. The exhibition will consist of the entries on wall mounted boards and there will be an online gallery, as well as a digital gallery on the Big Screen in Lyric Square. 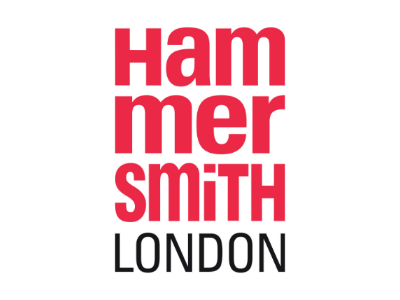 If you have any questions, please email L.Caruso@hammersmithbid.co.uk. Expression of interests open on Tuesday, 19th March 2019. Please email L.Caruso@hammersmithbid.co.uk stating your name and whether you are able to make the site visit date on Wednesday 17th April. No further information is required at this point. You will then receive the competition brief. Full competition packs will be sent out on Monday, 15th April, which is the official competition opening date. Please note, there is no current immediate access to the site and no access will be permitted. Please stick to public rights of way only. Competition organisers accept no responsibility for any site and access issues. This is an ideas competition only; any winning entries will not necessarily be acted upon.